Have asthma? If so, you're not alone. Millions of people in the UK suffer from it, and pollution and poor air quality can make it worse. But if you think staying indoors will help to keep you safe from air-borne pollutants, you're dead wrong, as ours homes can be even more dangerous. Bad air can cause headaches, eye and throat infections, and even more serious conditions like cancer. But hope is in sight with the Foobot - a smart air quality monitor. 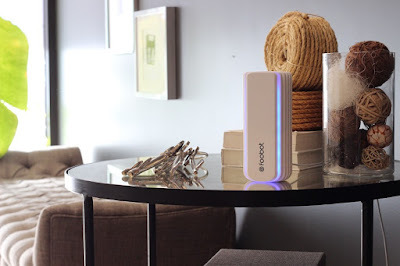 First things first, the Foobot can't directly do anything about bad air in your home. This thing is not an air purifier or dehumidifier, nor does it circulate air around to clean it. Instead, it is a smart monitor which, in conjunction with an app, will let you know what is going on with you home's air, warning of any dangers and suggesting things you can do yourself to help. The Foobot itself is far smaller than we were expecting, standing only 17cm tall. 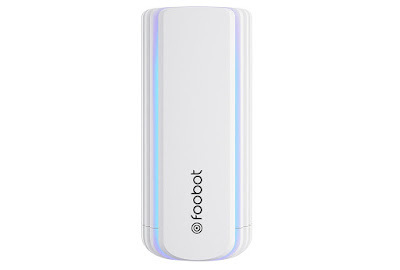 It is powered via USB (no onboard battery), and connects to your home WiFi Network. Set up was simple, merely requiring you to download the app and link it to the Foobot. After a few minutes, you'll start to get some data. And that's about it. 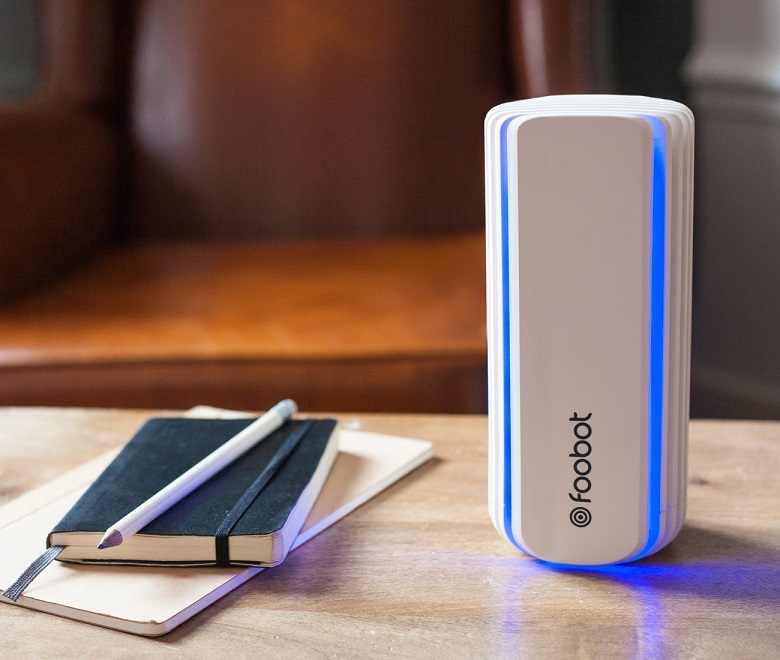 The Foobot just sits there, constantly monitoring the air (it takes a reading every few minutes), and making that info available via the app. However, it also displays the current quality of the air with embedded LED lights which glow from blue to red depending on the quality of the air. This means that even you don't have your phone on you, you can see if there is a problem and open a few windows to get the air inside moving. 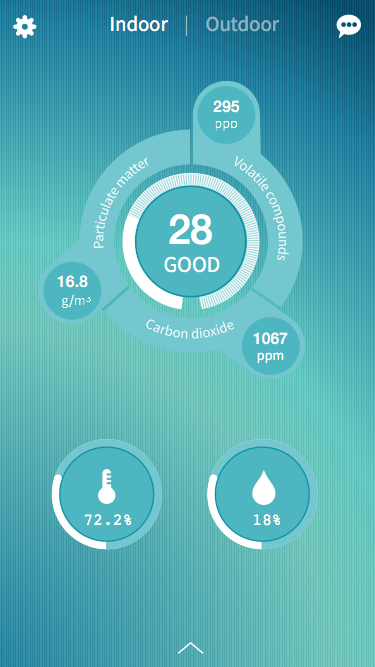 But, what makes the Foobot truly smart is the compatibility with other smarthome devices, especially heating systems. Using IFTTT recipes, you can combine you Foobot with an action from your Nest or Hive central heating. 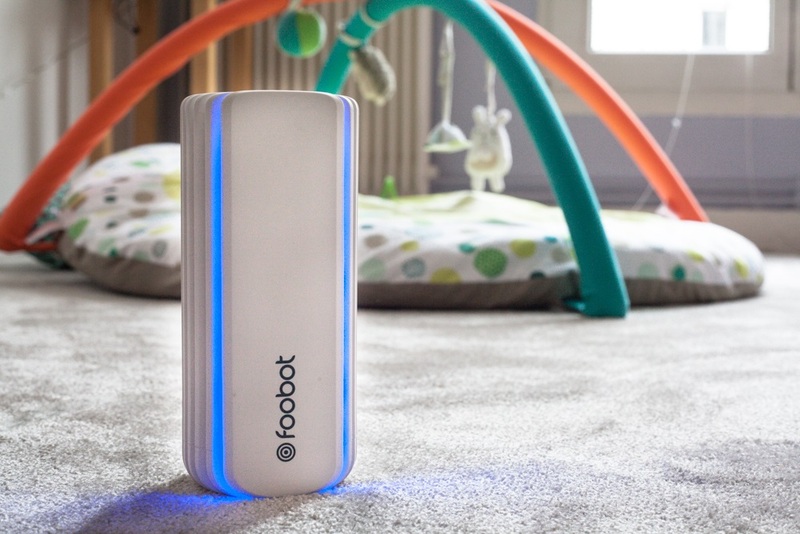 You can set the likes of 'turn off heating or reduce temperature if Foobot detects high levels of humidity'. It will also work with Amazon Echo, where Alexa will give vocal warnings about levels of harmful substances in the air. Its all very impressive, and really helps the Foobot stand out from the crowd. Other than that its important to remember that this is not something that will solve all of your problems - just highlight the ones you already have but might not have been aware of. It will help you to see the invisible, but after that it is down to you to deal with it. Sure, Foobot can offer some immediate suggestions, but a bit of research is required into all of the nasty stuff it could potentially detect. 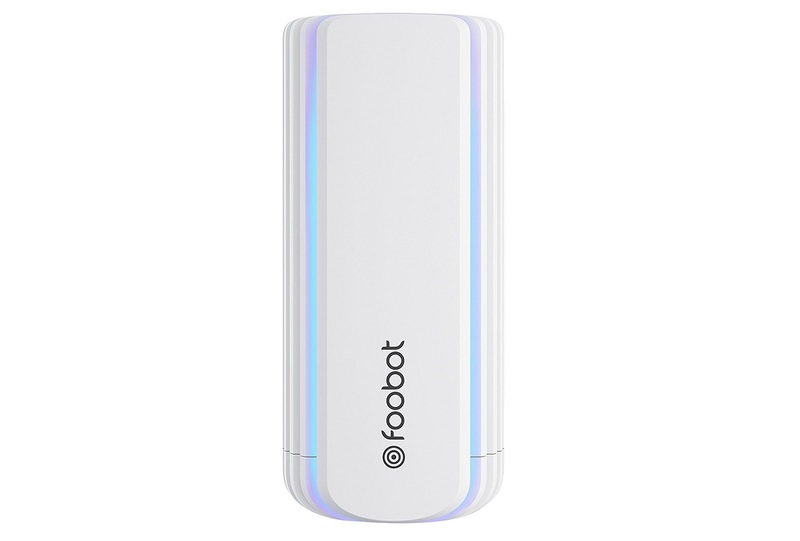 With home safety of paramount importance (especially in light of recent events here in the UK) something like Foobot makes a lot of sense. Although that price might put many people off, when it works in conjunction with other smarthome tech, this is wildly impressive.